Pigmentation patches can cause lots of cosmetic related problems. It is true that the skin condition does not actually have any health implications on the skin, but it can make the skin look aged, so if your pigmentation bothers you it is always better to get rid of it so as to retain your youthful appearance. Pigmentation has been linked with the sun to a great extent. It usually occurs on the skin as one grows older, after years of accumulated sun damage. It is becoming increasingly common on those who are only just passed middle age. Naturally pale skin does not have much resistance to the UV rays from the sun. The UV ray can then penetrate the skin very easily and affect the perfect activities of the melanocytes that are responsible for producing melanin. Once affected, the melanin produced will reduce and will only be able to form brown patches on the skin. The brown patches are referred to as pigmentation patches. This is the reason why white skinned people are more likely to suffer from this condition. It is possible to treat pigmentation yourself at home. There are some very simple treatment methods that do not cost a great deal of money. But first, you should identify the cause of your pigmentation. For instance melasma of mask of pregnancy is caused by hormones so therefore no topical treatments will be effective. Pregnancy & the birth control pill can cause melasma so these should be ruled out first as any treatment would be futile as in this case time will be the only cure. If you are not pregnant or taking the pill, then it should be possible to remove pigmentation patches by using some simple topical creams. You can easily get the topical creams right over the counter. You will also not spend much on them at all. You only need to apply the topical creams as ordinarily as you apply your normal moisturizer. With consistent application, you should soon see an improvement. Many of the topical creams for removing pigmentation are made with hydroquinone, it is available over in some countries and only only available with a prescription in others. A cream containing glycolic acid can also be used as an effective treatment for pigmentation on the face. 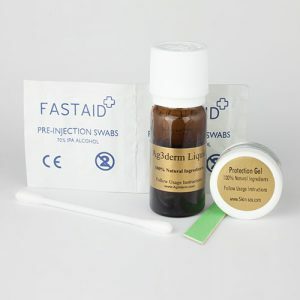 This is available in various strengths – some are suitable for daily use at home and other stronger concentrations should only be applied by a trained dermatologist.